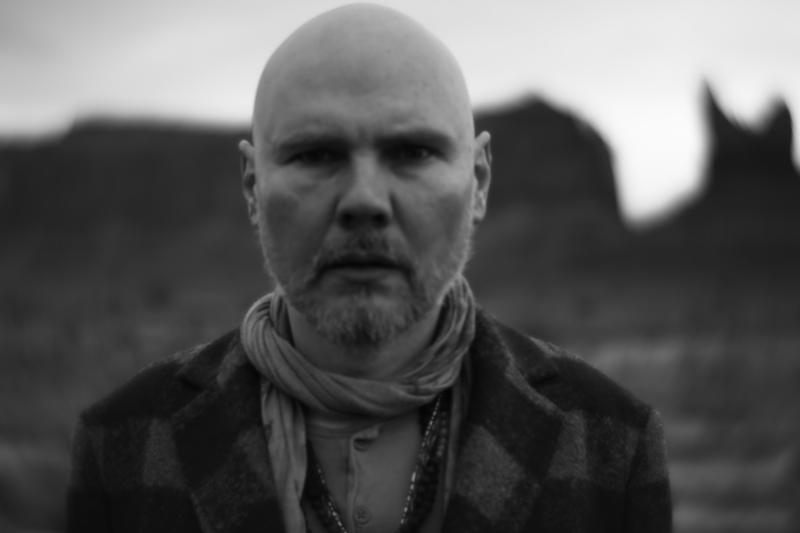 We welcome the legendary Smashing Pumpkins front man on to discuss the early days as 90s rock stars, Star Wars and a possible Smashing Pumpkins reunion. PLUS: We roll camera and cover the most important pop culture news around! MD: We all know the lineup changes that the Pumpkins have endured, with you essentially carrying on the mantle. So when I heard you were releasing a solo record, I was a little surprised. But then I heard the first single and it made sense. Tell me about the vibe on this record and what went into the decision to make this a solo record. I was working on a follow up to the last Pumpkins album, Monuments to an Elegy and about half way through the record I kind of lost my mind and thought I can’t do this anymore. I just ran out of gas on Smashing Pumpkins music. So I wrote a batch of songs that ended up being the foundation for this record. I found if i just naturally let myself go where I wanted to go, more acoustic, less future rock. That’s how i ended up working with Rick Rubin and putting it under my name. And I’m with you on that. Sometimes I question my own sanity because you get to a point in the world where, “what’s in a name?” If i write the songs and I sing it and I call it Billy Corgan or Smashing Pumpkins or I call it The Moon and the Stars it doesn’t feel any different to me. But people really perceive it differently. And it just felt right. And I will say this, and it’s a positive-negative, I get tired of putting out Pumpkins music and then answering the question why should we accept this as Pumpkins if it doesn’t involve “pick your band member.” That gets old too. So I’m happy to do something that doesn’t have that kind of baggage. Here’s the songs I wrote, this is me, and if you like it that’s great. MD: The sound you’ve seemed to purposely steer away from in the 2000s psychedelic quieter, heavy static guitar. I thought Oceania had that feel to it which is why i responded to it. Are you conscious of the Pumpkins sound when writing and recording? Especially in this case? MD: You mentioned working with Rick Rubin on it. What was his influence and whats the normal production on a Pumpkins record that made this different? For the past ten years I primarily prodcued mysefl though I had help. With this, when i talked to Rick about doing the record, i said I’m just going to get out the way and be an artist for a change. Tell me when to show up and I’ll do my best and that’s what I did. NEXT WEEK: Happy Halloween! Stranger Things is back. We cover it all. PLUS: Lou Ferrigno talks Thor: Ragnarok.